Paganism To Be Taught At Schools: Paganism has been included in an official school religious education syllabus for the first time. 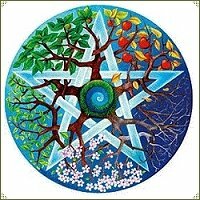 Paganism has been included in an official school religious education syllabus for the first time. Cornwall Council has told its schools that pagan beliefs, which include witchcraft, druidism and the worship of ancient gods such as Thor, should be taught alongside Christianity, Islam and Judaism. The requirements are spelled out in an agreed syllabus drawn up by Cornwall’s RE advisory group. It says that from the age of five, children should begin learning about standing stones, such as Stonehenge. At the age of 11, pupils can begin exploring ‘modern paganism and its importance for many in Cornwall’. The syllabus adds that areas of study should include ‘the importance of pre-Christian sites for modern pagans’.